A horror-focused DLC for Shadow of the Tomb Raider is scheduled to launch next Tuesday on January 22nd, according to an official announcement made earlier this week. 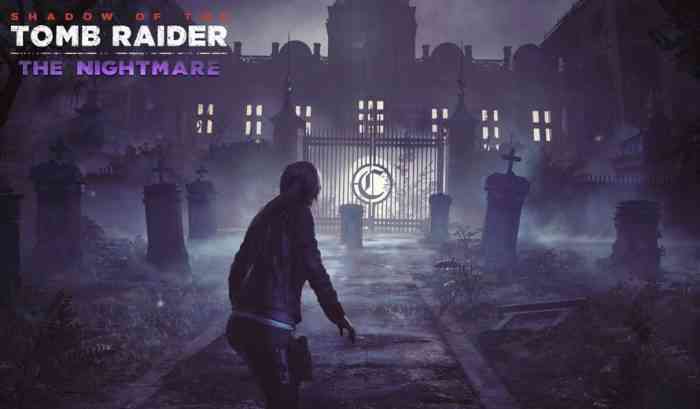 From the official image posted above, it appears that this new DLC is possibly going to take place at Lara’s home, Croft Manor and, with several gravestones located in front of her, it is also possible that she’ll be confronting people she knew but have long passed away. Whatever this DLC turns out to be, you’ll likely need the base game in order to play it. Go ahead and read our lengthy Shadow of the Tomb Raider review if you’re interested in purchasing Lara Croft’s latest adventure.